There are many reasons people move houses. It could be due to a change of work location, end of lease, for love or in unfortunate instances, a change in financial circumstance. Regardless of when we move into a new home we instantly expect a fresh start or do-over. The ancient Chinese method of Feng Shui is being used by millions of people worldwide because it maximises the flow of Qi, or energy around the home. 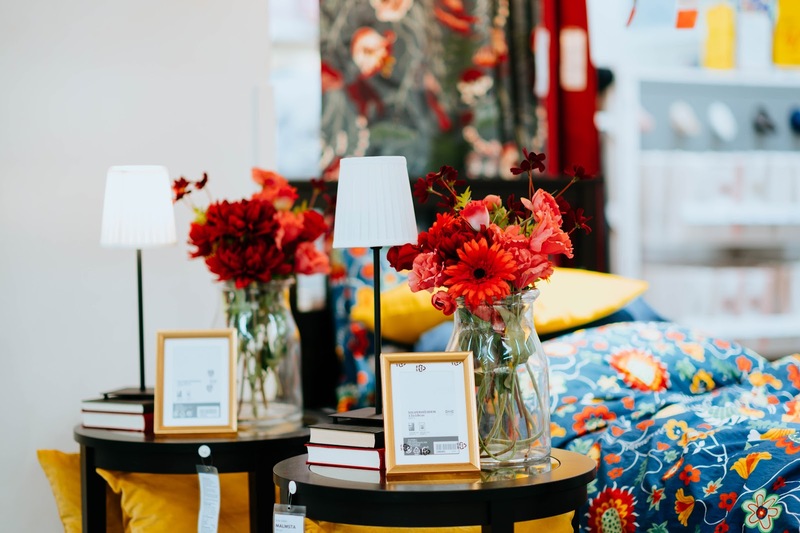 Practicing or implementing Feng Shui to arrange your furniture and accessories is said to promote a safe and productive environment for you to live in. Apparently, Feng Shui also strengthens the link between two people, making their connection more harmonious and in tune. If Feng Shui interests you or you are wanting tips on how to arrange your bedroom, consider the following tips! Where you position your bed can determine the kind of energy that flows in your bedroom. It is important to place your bed at the furthest point of the room, facing the door but making sure it is not directly in line with it. They say the right placement of your bed reflects wealth, health and your love life. This definitely seems like something you don’t want to mess up! This creates safety as the door is easily visible while giving you space to relax. Make sure the head of your bed rest is against a wall and not directly under a window as this can cause the Qi in your room to escape freely out through the window, resulting in restless sleep. 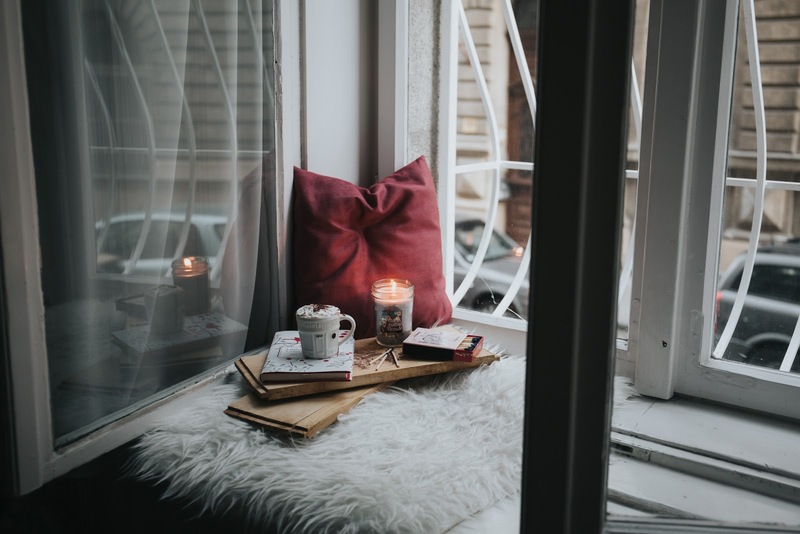 If your bed is placed under a window and you have trouble sleeping… you might want to consider rearranging your room in accordance to Feng Shui! Clutter isn’t only unsightly and a breeding ground for cockroaches, it can be damaging to your mental health as well. Clutter blocks the flow of your Qi, which means it can disrupt your sleep patterns, in turn, affecting your resting period and your mood when you wake up. Keeping your bedroom clean and tidy is easy and helps reset the energy which surrounds you while you sleep. However, it is important to keep in mind that visible clutter isn’t the only problem. Mess found underneath bed frames or piles of clothes stuffed into cupboards can be just as damaging and might hinder you from leading a clutter-free lifestyle. It can cause stress without realising so keep in mind – clean room = clean mind. The chances of having a good night’s rest seems hardly possible if your room is decorated with artwork and decor that screams darkness, the devil or any scary omens. Having negative images or furniture can represent loneliness or sadness according to the art of Feng Shui. But if that is your style, then by all means go ahead! But in terms of Feng Shui, it definitely does not release a good energy or Qi. The artwork and colours you use should be aesthetically pleasing, easy on the eyes and inspiring. The bedroom is the place you go at the end of your day to have a clean, relaxed mind after a long day at work. Also, you may consider removing any artwork or ornaments that are directly above the head of your bed as it can sometimes create a heavy and unsafe energy. It is recommended to remove all your paintings where water is the dominant theme. You may have heard that waterflow paintings is said to bring wealth into your life, and while this is true, it comes with a condition. Water themed paintings also prove to be beneficial outside your bedroom in more common areas like the living room. Inside your room it can promote financial hardship and relationship struggles. Feng Shui practices also preaches the use of light colours for your walls. Painting your walls or having a wallpaper of a neutral soft palette creates relaxation. Warm and simple, light colours are usually chosen. For a lighter and harmonious energy flow, artworks should be of a light nature consisting of an inviting pattern. Having your electronic devices active in your room creates a heavy flow of energy disrupting peace and sleep. Therefore, try to keep your electronics shut and stowed away when it is not in use or at least an hour before you hit the hay. You may have heard that smashing mirrors can result in bad luck. Well here’s some new information – having a mirror in your room is just as bad. That’s right, having a mirror in your bedroom could be the reason you haven’t been sleeping soundly, especially if it is facing towards a dark or upsetting image. Mirrors are said to bounce energy which can result in the feeling of restlessness. It is advisable to not keep a mirror in your room. However, mirrors in the bedroom seem to have become a necessity these days. But if you can’t keep a mirror out of your room, at least keep it away from facing something negative. Hanging a mirror opposite your bed is also said to promote the intrusion of another person in a couple’s love life. It subconsciously urges infidelity. You should place your mirror facing something you love. Whether it is a painting or an accessory, facing your painting towards a good image, creates positive energy. Did you know that keeping dirty laundry in your room is a big NO, NO! Dirty laundry not only releases bad odor, it releases bad energy which can cause irritability. Having dirty laundry in your room can result in poor concentration and reduce your comfort. Buying good linen is important for your sleep too. Dirty or poor quality bedding can disturb your sleep tremendously. It makes sense too, we spend about 8 hours of our day (or aim to anyway) on our beds to relax after a long day and to recharge overnight. How are we supposed to do that if you are not feeling comfortable? Buying good bed linen can be pricey but it is definitely worth it in the long run. Not only does the material last longer, you will find yourself sleeping like a baby. Match, match and match! Possessing matching accessories and decorating in pairs creates symmetry and balance. Having two of everything in your room, whether it is a set of bedside lamps or tables, promotes a positive Qi and creates harmony. Who knew that in order for you to live a peaceful life, it is just as important to have a peaceful and organised mind as it is to be in a peaceful environment. When moving into a new home and creating a new life, you want to be concentrating on creating a new world for yourself, without having to worry about moving all your belongings. Which is why you should give us a call because we can take the stress of moving houses on ourselves so you can devote all your time to making your perfect home.